For decades, women on the Pill suffered. They didn’t have to. Last month, the British National Health Service issued new guidelines concerning contraceptive pills. Many common brands of birth control instruct women to take one pill each day for 21 days, then finish the month with seven days of placebo pills, to still have their period (or, more accurately, withdrawal bleeding that mimics a period). The new British guidelines, however, are upending this decades-old pattern. Researchers and physicians have long said the seven-day “break” is not medically necessary, so the NHS has changed its recommendations to say that women can, in fact, take hormonal birth control pills continuously and safely, no dummy pills needed. 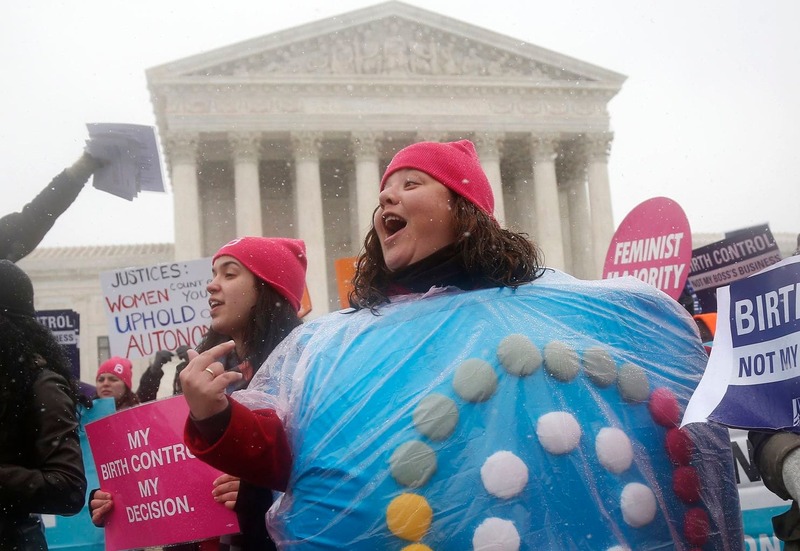 But examining the broader history of contraception complicates the claim that the pope should be held largely responsible for six decades of Pill users experiencing unnecessary bleeding, cramping and general unpleasantness. While Rock and his collaborator Gregory Pincus considered the Catholic Church when devising the birth control cycle, there were other factors — including their internalized assumptions about women — that determined the Pill’s design. From the beginning, clinical trials for the Pill featured women’s regular monthly periods at the center of their experimental design. Infertile women who wanted to become pregnant had participated in some of the earliest experiments with progesterone under Rock’s direction. They were confused by the pregnancy-like side effects from the hormone and were often devastated to find out they weren’t actually pregnant. From this experience, Rock and Pincus decided that monthly bleeding could help reassure women trying to avoid pregnancy. But this ability to mimic women’s “natural” menstrual cycles had other benefits for the doctors. The pharmaceutical companies that expressed interest in manufacturing the Pill had told Pincus they wouldn’t market a product that altered a woman’s “natural” menstrual cycle. Doctors who might have been uncomfortable prescribing a pill simply for contraception were also more amenable to using it to treat their patients’ irregular periods or painful menstruation, assuming the Pill could also be used to regulate, rather than eliminate, the cycle. Perhaps just as important, to make his studies of the Pill’s efficacy sound more impressive, Pincus downplayed the small numbers of research subjects involved in them and instead emphasized how many periods they had during the trial relative to the number of pregnancies. By using total numbers of periods as a metric, the researchers forever established the monthly withdrawal bleed as standard while taking the Pill. These considerations and methods would not pass today’s peer review or Institutional Review Board protocols. Nor would the first large-scale trials of the Pill, which were conducted with asylum patients and also in Puerto Rico, using working-class, nonwhite women as little more than guinea pigs. Indeed, the attitudes Pincus and Rock displayed toward subjects often reflected medicine’s long-standing tradition of pathologizing women. But to their credit, Rock and Pincus wanted to make a drug that could work for all women. The 1950s were marked by the highest church and synagogue attendance of the 20th century, and developing a Pill palatable to the Catholic market was not an unreasonable goal. The design of the pill, while seemingly absurd to modern eyes, was thus critically important to ensuring its initial widespread accessibility. It maintained a sense of the “natural,” which reassured many of the drug’s stakeholders. Today, feminists rightly criticize the idea that women must be solely responsible for birth control. Many contraceptive methods, including the Pill, require women to take the lead on using them. But for women in the mid-20th century, the Pill was life-changing precisely because it was their responsibility. Women were generally far more interested in limiting childbirth than were their husbands, and some husbands forbade their wives from using birth control. With a supportive doctor, however, taking the Pill meant that a woman could protect herself against pregnancy without having to gain her husband’s consent. The Pill’s emergence on the market in the 1960s was thus more than a medical revolution — it helped alter the imbalance of power between men and women. Sixty years later, the new NHS guidelines regarding continuous hormonal pill prescriptions are an important step in establishing best practices in women’s sexual and reproductive health. They help to move the Pill beyond its tangled and contentious history, and unlike the past, the recommendations put women’s needs first. Yet it’s still worth examining how the Pill’s “sub-optimal” design came to be, as it reveals the complicated story of religion, gender assumption and biology that not only informed the creation of the Pill but also continues to shape much of women’s sexual health care today.